You woke up in the middle of the night knowing nothing about the things you did before it. What happened? How did you get in this car? No time to think, you should find the way out! You have no idea how you get in this car, but the thing that worries you most is how you will get out of it. The doors are locked and the injection isn't working. You can't break the glass and there are no keys to drive somewhere else. Calm down, there should be an exit! 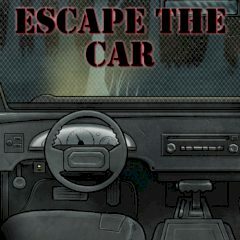 Search the car and take items that might be useful to you in order to escape this prison.